It is hard to resist fresh shrimp when it’s coming right off the boat but, you can purchase frozen, peeled, and cooked ready to eat shrimp if you’re in a bind for time. In a large non-stick skillet, heat 2 teaspoons oil over medium-high. Season shrimp with salt and pepper. Add shrimp to skillet and cook until opaque throughout, about 5 minutes. Transfer shrimp to a plate. 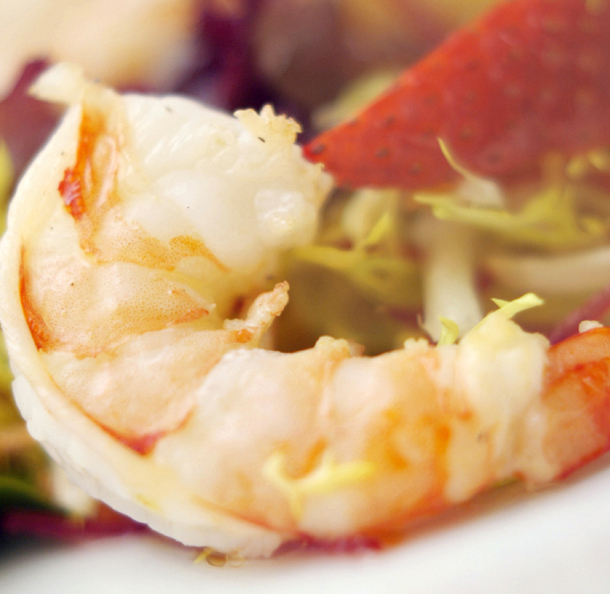 This entry was posted in Entrees, Metabolic Medical Center Recipes, Modified Profast (Fast and Flexible) Recipes, Salad and tagged shrimp, shrimp salad by foodies4mmc. Bookmark the permalink.